Good old fashioned holiday posing suit. This suit is 19 years old. 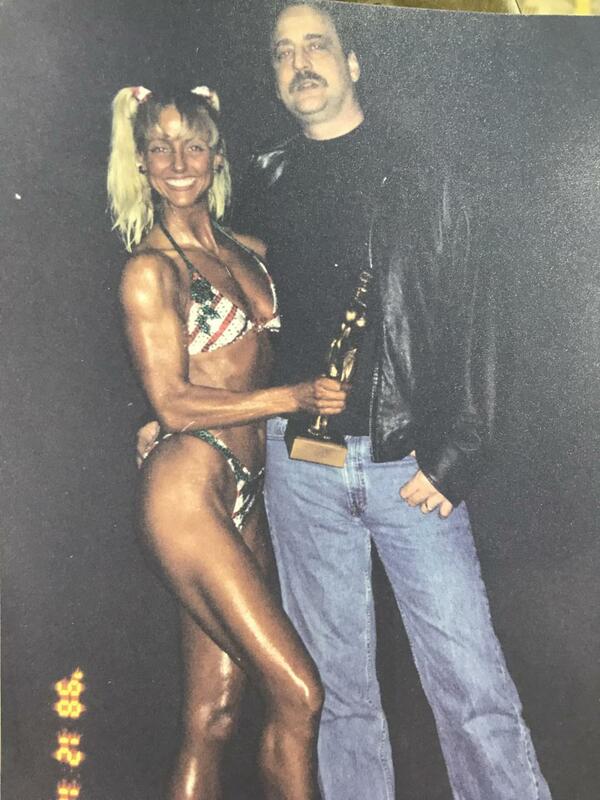 I made it for the 1998 NPC Northwest Natural Bodybuilding Competition. It was December 10th so I took advantage and made a Christmas themed posing suit. Here it is still in beautiful condition in my shop. I cut and hand appliquéd the stripes and holly and embellished it with Swarovski crystal and sequins.